The Sports Authority chain filed for Chapter 11 bankruptcy Monday after missing a $20 million interest payment earlier this year. The sporting goods retailer plans to close 140 of its 463 store including its store on Madonna Road in San Luis Obispo. Store will begin “everything must go” sales in the next few days. The Colorado-based company said it has $1.1 billion in debt. 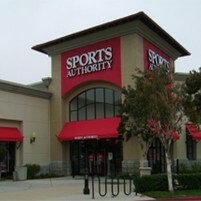 Also on the chopping block are Sports Authority stores in Ventura and Bakersfield. The list of stores to be liquidated includes 25 stores in Texas, 19 in California, 18 in Florida and 11 in Illinois. Low margin stores are high volume dependent. In order for a big box to make it in slo (or anywhere), it has to be packed with customers all of the time like Costco and Home Depot. Big box stores will be like car companies and dot coms, a small handful will survive, (including the named above and walmart) the rest will continue to go the way of sports authority. I am surprised that the City’s amazing economic development team couldn’t see this coming. Why did the chain elect to close down stores in this area and keep other stores open nationwide? Debt restructuring is a common business practice. However, from the inside the theft of product at the store, routine employee misconduct was through the roof, slo pd were to busy on other priorities, such as hammering drunken coeds. Two more box chain stores will also close soon.